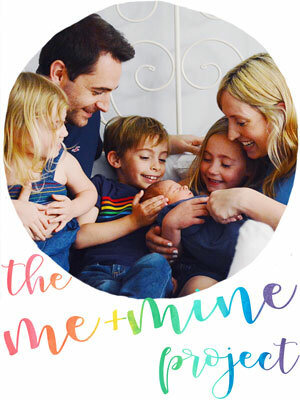 One of the things I felt most strongly about when we were still talking about baby number 3 as an 'if' and a 'maybe', was that I wanted to really relish and enjoy a final pregnancy. When I was pregnant the first time, I was full of all that nervous excitement of a first time mum, plus I was super busy with work, and I just had no idea what I was letting myself in for, so afterwards I felt like maybe I hadn't enjoyed it to the full. I think I wished it away in places, just desperate for the final prize at the end. Second time around I still had a baby to care for, our beautiful boy wasn't even a year old when I got pregnant and I just couldn't stop dreaming about the moment when he got to meet his baby sibling. 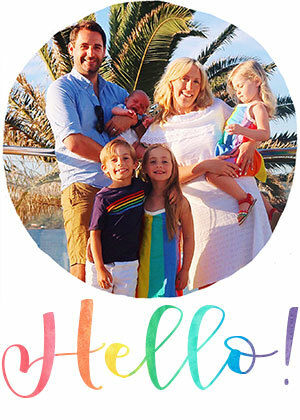 We had always said three kids was our perfect family, so I think in a way I took that second pregnancy for granted a bit thinking to myself that I'd be doing it all again. But I came into this pregnancy knowing it will be my last. And I really wanted to make the most of every second. On the whole I have always really enjoyed being pregnant. I love how special you feel... like some kind of superhero who has the super power of growing amazing babies. I love the early flutterings, those full on kicks, and the stage where you can literally watch your unborn baby roll around under your skin. I actually even love the way it makes strangers talk to you on the street (not so much the unsolicited bump touching); even when it's just to point out how incredibly full your hands are going to be when the new baby comes along. It's a unique and really special time I think, and one that flies by so quickly. Once you have a baby in your arms, I think you always look back over the nine months of pregnancy and think they were gone in a flash. I know I did the first time around, and I actually really missed my bump and the exciting part of my life that it had represented. Second time around my pregnancy flew by even faster, while I juggled a toddler and had days where I was half way through my breakfast before I even remembered I was expecting. And if I thought the last time went quickly, my goodness... this time has been crazy fast. I think the fact that my first trimester was plagued with nausea and that I still had such confusing feelings about being pregnant, meant that I didn't really get my head around the fact I was really expecting a baby until quite a while after the first scan. It was probably week fourteen or sixteen before I felt like I was truly excited about it all. Ever since then I have felt so guilty about those initial feelings because once it kicked in that excitement hasn't budged for a second. The second trimester completely flew by in a haze of feeling like me again and feeling quite frankly awesome. Thats typical I guess, the part of pregnancy that is notoriously the nicest part has flown by seemingly overnight. And now the third trimester is here... the one which I know always feels infinitely longer than the other two just because it tends to be the hardest physically, and because that finish line seems close but always slightly out of reach. Reaching the third trimester has made me massively reflective and I am starting to wonder if its only really in that last few weeks that it has kicked in for me that we are actually going to have a baby. I know that sounds really silly. But I think the fact my bump hid away for so long, and that I haven't felt anywhere near as much movement this time around just means that those physical hints of pregnancy weren't nudging me every so often with a "you're growing a baby" reminder. And it feels like only now, that I have a proper bump and accompanying back ache; that it's fully kicked in that we'll be blessed with another little person to care for in October. This pregnancy has without a doubt been my most emotional. Little Flump has sent my feelings flying around all over the place. From the early days when I was in such denial about even being pregnant, and just feeling grumpy and tearful... to the milestone moments of scans, hearing her heartbeat, and telling her older brother and sister about her; which have all also brought tears but happy ones. While I was overcome with emotions at both my previous births, I didn't cry. However I would pretty much put money on crying this time around. This pregnancy has made me a wreck, but in a good way. I think that I'm just so acutely aware this time around of what an incredible gift a pregnancy, birth and baby are, not that I wasn't in previous ones. It's just that I know how fantastic children are, and how fascinating and funny and challenging and precious it is to watch them grow. Having had four and half years to settle into my role as 'mum' it has shaped me in so many amazing and beautiful ways that I just can't wait to add to our (soon-to-be-not-so) little family and see how this little one will shape me further and change our family again. Lately Rich and I tend to make eye contact when we are doing things as a four, and I just know that we are both thinking about the other person that will be part of our adventures in the not too distant future. When we read bed time stories I think about who has a free arm that will house our baby girl to listen to the stories too. When we walk along hand in hand I find myself wondering about who will push the pram and who will walk with the big kids. And I even find myself fantasising about what it will be like to watch our three children play, and how it will be when we have a mini walker on our hands and one or other of us will have two hands full to cross the road. Honestly it makes me cry just thinking about it. I was nervous about having a first baby, for all the obvious reasons as we faced something so totally unknown. And second time around I was also nervous, because although I knew how to look after a baby, the changes felt so scary. But this time around I'm really not nervous... maybe I should be. I know I'm going to be juggling more babies than I have hands, that there are going to be plenty of days where I will be so touched out that I will wonder why we had one child let alone three, that we have big changes to ease our children through while also trying to remember how to look after a newborn again... but I actually can't wait. It's taken basically two third of my pregnancy to really get my head around it, but it just feels like it's going to feel so right for us. With a boy off to school like you and a girl of two the issue of number three feels like it is starting to hover over the top of us in a 'stick or twist' style scenario! With two healthy children (and one of each) the decision feels absolutely bigger than I ever expected it to be having always thought three was our magic number. Your post is good food for thought for us! Thank you! Thank you Lucy for sharing this, so much of this rings true for me as I am also pregnant with my third. Three is our number but this pregnancy has felt so strange and not quite real which sounds strange to write but its true. Look forward to more of your pregnancy posts. This has been such an interesting read! For me three feels like such a massive jump from two but reading this has helped me understand that it doesn't have to be. Love following your journey Lucy, you write so beautifully. My pregnancy with P3 seemed to whizz past in a blur. I too wanted to cherish it but half the time I forgot I was even pregnant despite feeling sick obviously. I was exactly the same during my third pregnancy - more emotional, more reflective and almost more appreciative. It's been the same since my little boy arrived and I think I have possibly enjoyed the first few months more than ever before. This time I have perspective that the sleepless nights do come to an end and babies grow up all too quickly. I don't seem to let the little things stress me out in the same way and feel confident that I can read his signs and ques for tiredness, hunger etc. I'm trying to soak up every moment of his babyhood as he is most likely our last baby (can't quite bring myself to say that!!). 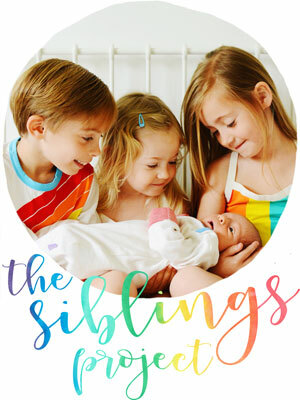 You will absolutely love having three - it's noisy and chaotic at times, but oh so wonderful!